NIFT admit card released at the official website, nift.ac.in. 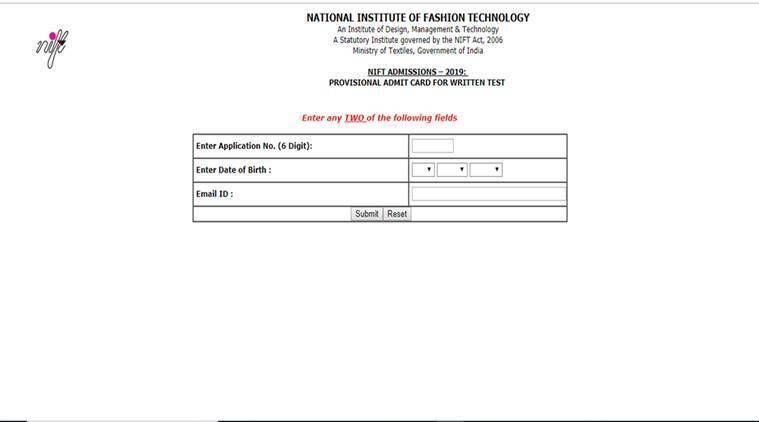 NIFT admit card: The National Institute of Fashion Technology (NIFT) has released the admit card to the admission to entrance exam on its official website, nift.ac.in. The exam will be a written test and is scheduled to be held on January 20, 2019. Candidates shortlisted by the written exam will have to appear for situation test, group discussion and interview. The result for written exam will be announced in February last week or March 2019. The final result will be created by including marks of all stages of screening and will be declared by May 2019. No candidates will be allowed to appear for the exam without a valid admit card, according to official notification.